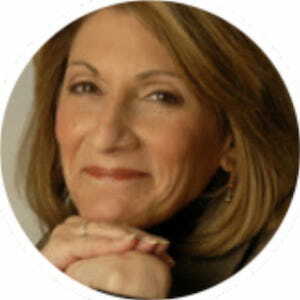 Ellen Ostrow is a strategic talent advisor, psychologist, certified coach and Founding Principal of Lawyers Life Coach. Since 1998 she has coached thousands of attorneys throughout the world at all levels of experience/seniority in law firms, legal departments, government, not-for-profits, and the judiciary in areas related to leadership development/effectiveness, communication, emotional intelligence, career planning/advancement, and business development. She works with practice groups, law firms and corporate legal departments on strategic talent management and retention. She advises legal departments of Fortune 500 companies in optimizing attorney-client communication and collaboration, effective management/supervision, developing mentoring programs and retaining/developing diverse talent. Her work with a law firm to become a more diverse/inclusive workplace resulted in that firm becoming one of the most honored firms for its diversity accomplishments. She is known for her expertise on the challenges faced by women in the profession and has been invited to address numerous audiences including the DOJ Canada, the Center for Legal Inclusiveness, Harvard Law School’s Women’s Leadership Summit, Center for Women in the Law, University of Maryland School of Law’s Women Leadership & Equality Program on strategies for advancing women attorneys. Her understanding of the complexities of human behavior, derived from her training in psychology and 30+ years of experience working with individuals/organizations to facilitate change provides her with a unique skill set among lawyer coaches and consultants. She knows the challenges attorneys face and comprehends their workplaces. She works from an evidence-based model of change that emphasizes the development of psychological flexibility: the capacity to be present and aware, in any given context, and to flexibly choose to act in a manner that will be optimally effective, authentic and aligned with values. In addition to her role at Lawyers Life Coach, Ellen is a coach for the OnTrack Sponsorship pilot program, which was born out of the 2016 Women in Law Hackathon.